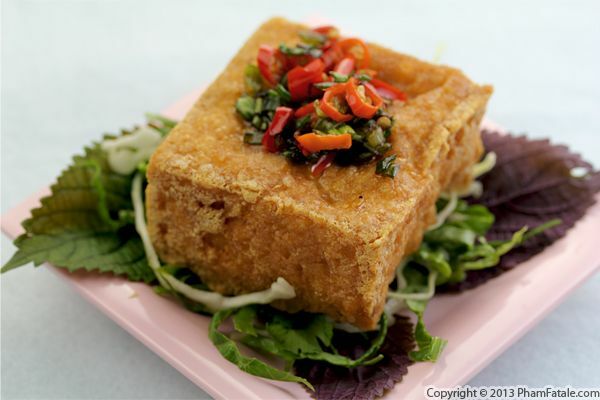 Đậu hũ rang muối is probably my husband Lulu's favorite preparation for tofu. It literally translates to "toasted tofu in salt crust". Indeed, large pieces of silken tofu are covered in tapioca starch, then deep-fried. Finally, a quick stir fry of green onions, freshly sliced red Thai chiles and salt complete the dish. 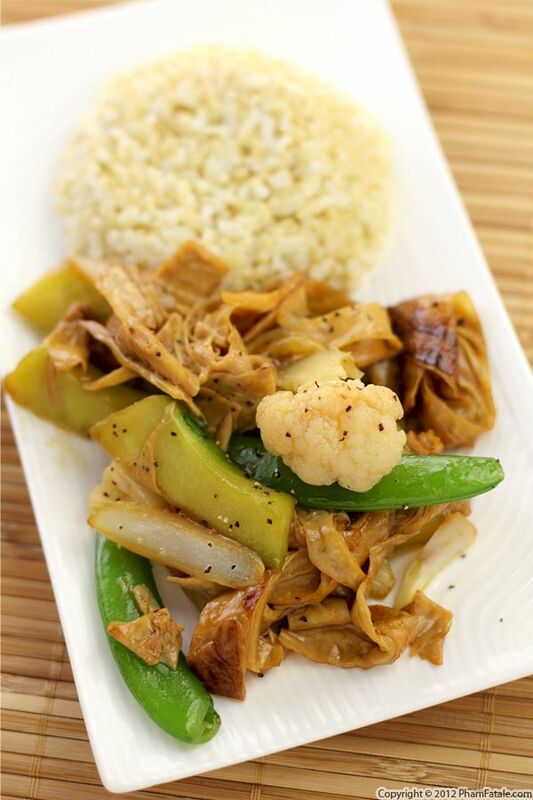 The simplicity of this dish is what is remarkable about the versatility of tofu. A drizzle of soy sauce and the addition of freshly steamed jasmine rice makes the most delicious meal. Who could ever say tofu is bland and tasteless? 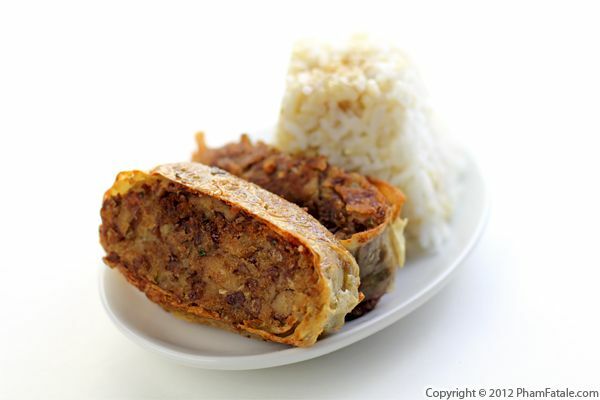 Tàu hũ cari is a Vietnamese dish that I consider comfort food. It has a wholesome coconut taste and creamy texture that pair wonderfully with toasted baguette or freshly steamed jasmine rice. 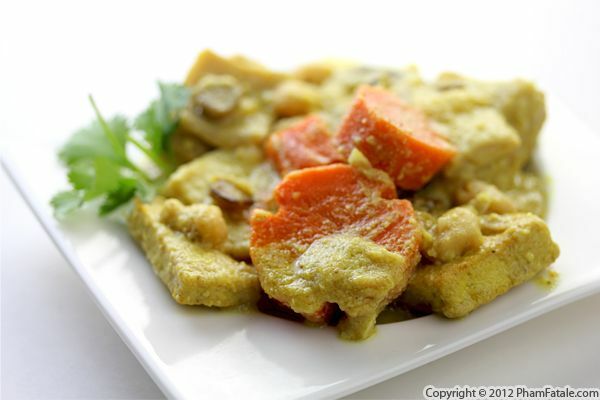 Traditionally though, lemongrass tofu curry is high in calories. I attempted to cut down on the heaviness without sacrificing flavor, so instead of using coconut cream, I used a combination of coconut soda and plain yogurt in addition to a generous amount of galangal. If you try this recipe and enjoy it, you'll be happy to know that there are many other versions of Vietnamese curries. I included a potato dish in my upcoming book, Haute Potato, which you can preorder now from Amazon (shameless plug ). The book will be out on December 18th and I really hope you get a chance to cook with it, learn from it, and share your experiences with me here on PhamFatale.com! Yuba is called tàu hũ ky in Vietnamese and it's a fairly common ingredient in the Buddhist vegan diet. 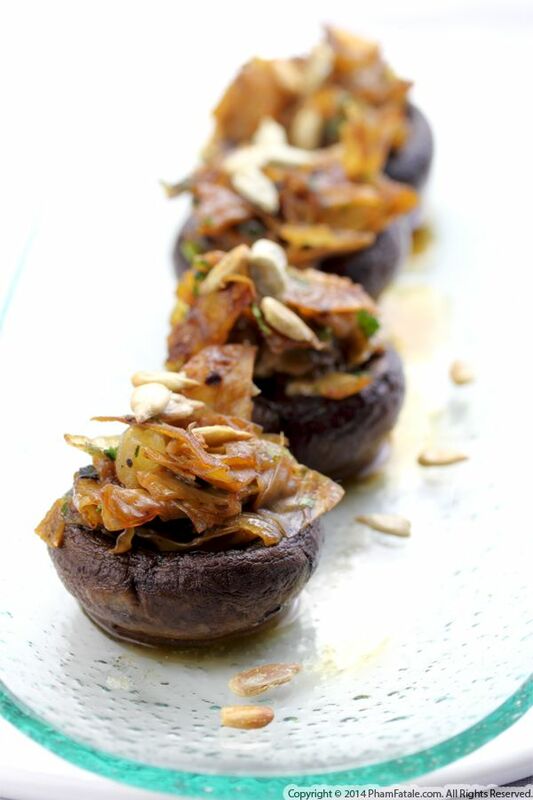 Most meals resemble and have the texture of meat, and yuba often plays the key role of meat substitute in the dish. I was surprised to discover that Costco now carries this product. Lulu sampled the yuba strips and liked them, so I brought home a package. I used the ready-seasoned spicy yuba strips and made a stir fry of various vegetables such as sugar snap peans, cauliflower, onion wedges and cucumbers freshly picked from our garden. My husband Lulu noticed that the Marketmore cucumbers he planted two months ago had started to produce. It's so pleasant getting new vegetables every day. I'll show you our beautiful bounty of beets, cucumbers and zucchini soon. Our tomato plants are already 5 feet tall but the fruit hasn't quite ripened yet. I love California!